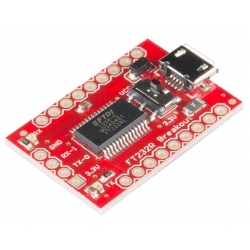 This is the SparkFun USB to Serial Breakout for the FT232RL, a small board with a built in USB to serial UART interface. 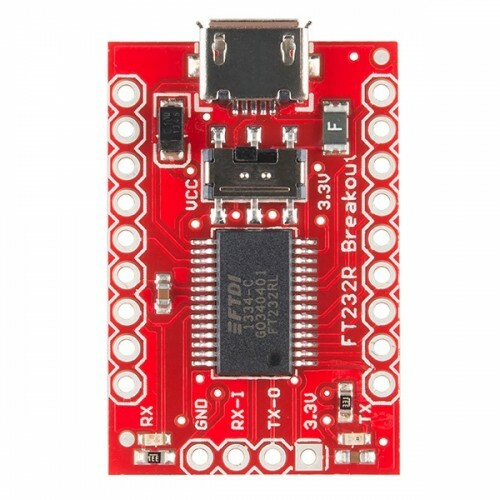 This little breakout is built around the FT232RL IC from FTDI, with an internal oscillator, EEPROM, and a 28-pin SSOP package this is a serious little chip. With this version, Sparkfun have corrected a few issues found with the board. 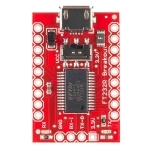 These changes include fixes to the VCCIO, a change from the mini USB to micro USB connector, and a few footprint modifications. 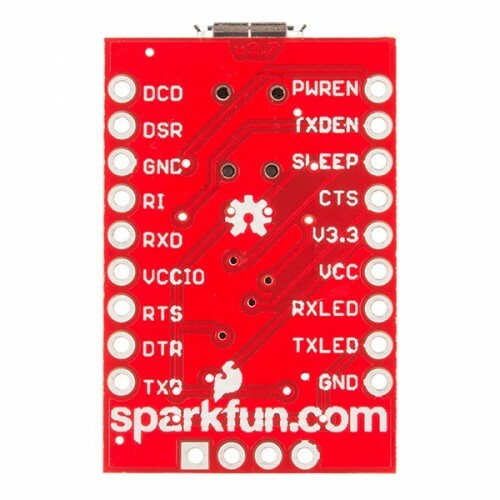 Other than finding this board much easier to use, it is still the same FT232RL breakout that you know and love!